Hello crafty friends, Martha Lucia hosting the blog this week. Welcome to a new challenge theme! This week we have a special theme using stamps. You can create any kind of project mixing your stamps, combining two or more images or stamp sets in your project. Easy and fun! 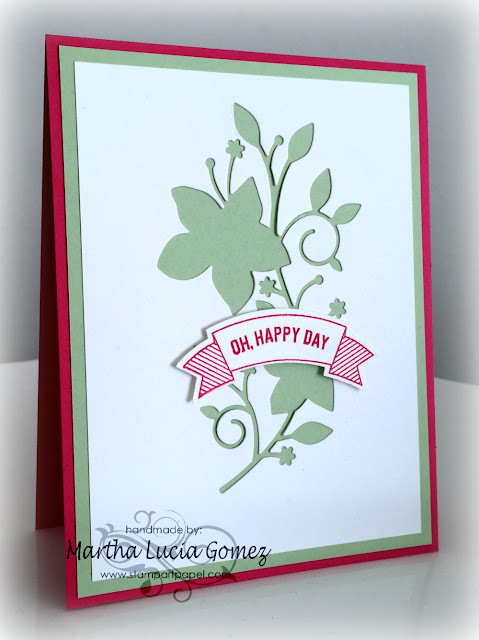 On this card I used two different stamps, the first to stamp the banner and the second to stamp the sentiment. HERE you will find a complete steps to create this card. I have used a Rubber Dance Stamp for my main image, a sentiment from PI. 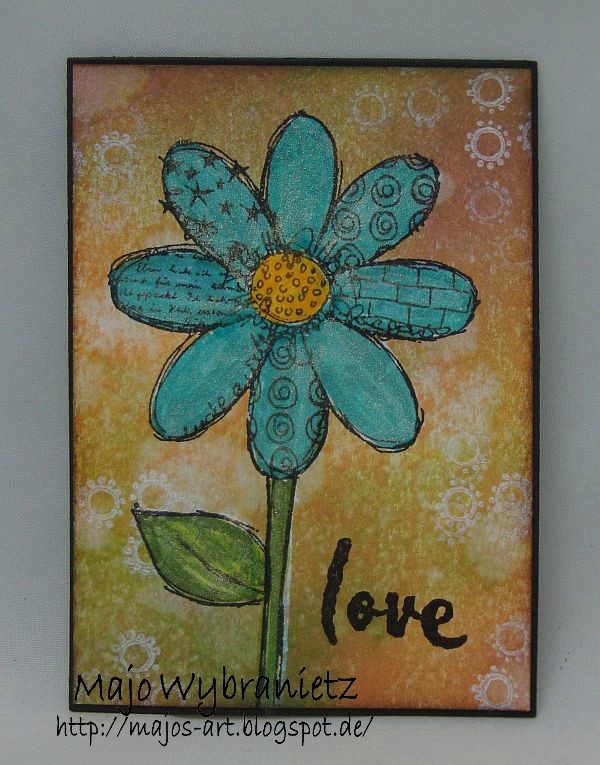 The little white flowers on my background are also from Rubber Dance Stamps. I have inked my background with Distress Ink in different colours and sprayed a bit of water onto it, just love the texture it creates! I created a small canvas art piece this week to shake things up a bit. I used Distress Paints for the background. The stamps were from the Thankful set from CTMH. Stop by my blog for all the details and more pics! I used two stamps as background: wispy chrysanthemum outline and solid with blue and yellow ink. And the sentiment is another stamp embossed. I used a Christmas tree stamp and sentiment stamp to get a start on my Christmas cards! Great projects, thanks for sharing; I sure hope I get to play along this week! Hello DT Ladies, wonderful creation. All projects are very nice. I wish you a Happy Fall. 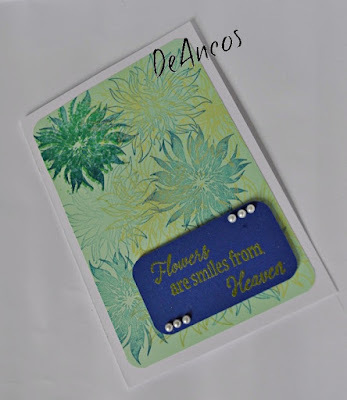 Beautiful creations DT and what a fun challenge!